Unveil, O Thou who givest sustenance to the Universe, from whom all proceed, to whom all must return, that face of the True Sun now hidden by a vase of golden light, that we may see the truth and do our whole duty on our journey to thy sacred seat.—The Gayatri. Unveil is the cry of the man who is determined to know the truth and who perceives that something hides it from him. It is hidden by his own Karmic effects, which have put him now where the brain and the desires are too strong for the higher self to pierce through so long as he remains careless and ignorant. The cry is not made to some man-made god with parts, passions, and attributes, but to the Self above who seeth in secret and bringeth out to light. It is directed to that on which the Universe is built and standeth,—no other than the Self which is in every man and which sitteth like a bird in a tree watching while another eats the fruit. From this the whole Universe proceeds out into manifestation. The ancients held that all things whatsoever existed in fact solely in the idea, and therefore the practitioner of Yoga was taught—and soon discovered—that sun, moon, and stars were in himself, and until he learned this he could not proceed. This doctrine is very old, but today is adopted by many modern reasoners. For they perceive on reflection that no object enters the eye, and that whether we perceive through sight or feeling or any other sense whatever all objects are existing solely in idea. Of old this was demonstrated in two ways. First, by showing the disciple the actual interpenetration of one world by another. As that while we live here among those things called objective by us, other beings were likewise living in and among us and our objects and therein actually carrying on their avocations, perceiving the objects on their plane as objective, and wholly untouched by and insensible to us and the objects we think so material. This is no less true today than it was then. And if it were not true, modern hypnotism, clairvoyance, or clairaudience would be impossible. This was shown by a second method precisely similar to mesmeric and hypnotic experiments, only that to these was added the power to make the subject step aside from himself and with a dual consciousness note his own condition. For if a barrier of wood were erected in the sight of the subject which he clearly perceived and knew was wood, impervious to sight and an obstacle to movement, yet when hypnotised he saw it not, yet could perceive all objects behind it which were hidden in his normal state, and when he pressed against it thinking it to be empty air and feeling naught but force, he could not pass but wondered why the empty air restrained his body. This is modern and ancient. Clearly it demonstrates the illusionary nature of objectivity. The objectivity is only real relatively, for the mind sees no objects whatever but only their idea, and at present is conditioned through its own evolution until it shall have developed other powers and qualities. Which is now hidden by a vase of Golden Light. That is, the light of the True Sun—the Higher Self—is hidden by the blood contained in the vase of the mortal body. The blood has two aspects—not here detailed—in one of which it is a helper to perception, in the other a hindrance. But it signifies here the passions and desires, Kama, the personal self, the thirst for life. It is this that veils from us the true light. So long as desire and the personality remain strong, just so long will the light be blurred, so long will we mistake words for knowledge and knowledge for the thing we wish to know and to realize. 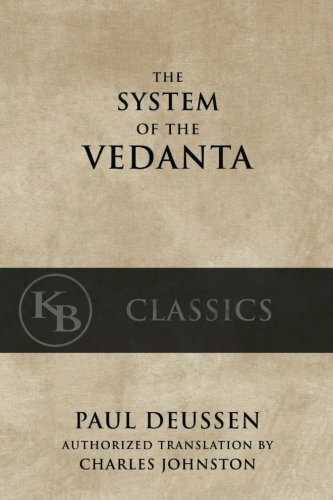 The System of the Vedanta: According to Badarayana’s Brahma-Sutras and Shankara’s Commentary thereon.